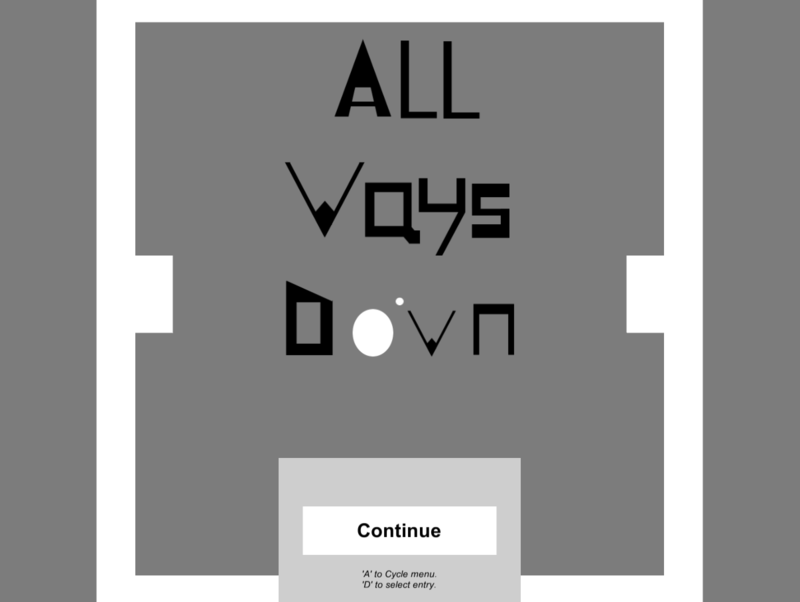 So it’s almost been a week since I finished All Ways Down, and seeing as everyone else is doing one :-), I figured I’d do a bit of a postmortem of the game/experience, looking at what went right and what went wrong. 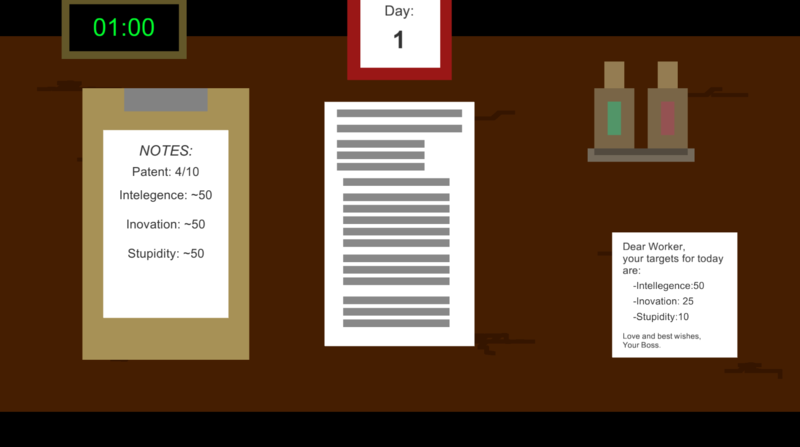 Like many who entered, this was my first Ludum Dare, and whilst at times it was stressful( especially the last two hours), in the end it was an amazing 3 days and I had a lot of fun taking part. Overall, I’m very happy with how the game turned out, though there are plenty of things that I think could be improved (more on that at the end). The jam also meant I got to learn a bit about Unity webGL exporter, which up to now I had not really been following. I think I’ll be developing this game further post comp. I’d like to make more levels, add in a couple of hazards and puzzle that didn’t make it due to time, along with polishing the graphics and adding more effects, maybe even a camera shake 🙂 . I’d also quite like to port it to mobile as I think its control mechanism is very well suited for the platform. Here’s a collection of the various posts I made during the Ludum Dare jam. Originally I wanted to post these on both the Ludum Dare site and here on the noddingTortoise, but unfortunately I was a little pressed for time over that weekend and never got round to it. So I thought it would be nice to have them all in one post, acting a bit like a timeline, which could show the gradual development and progress made on the game All Ways Down during the Jam. These were originally posted on the Ludum Dare website between 12/12 and 14/12. I decided to try and tackle both the themes with my entry, with the game making use of just two button input, with elements of growing as well. 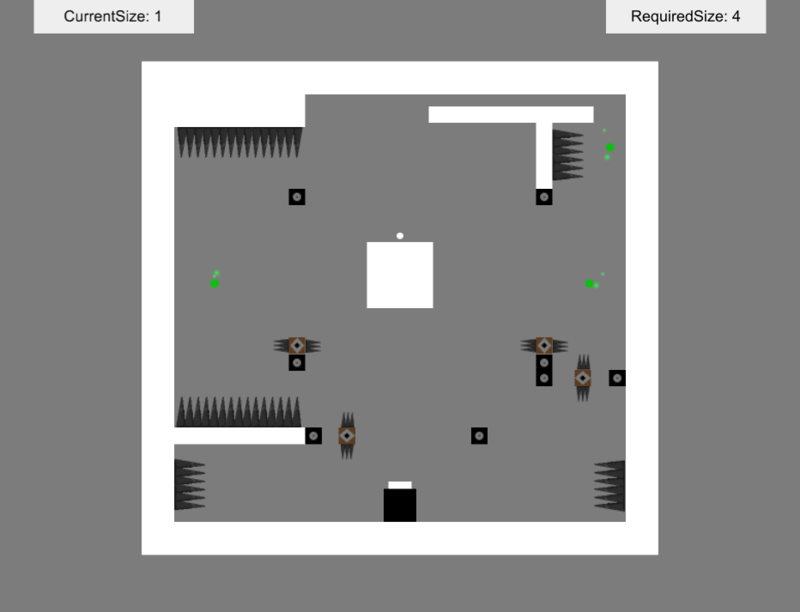 The game has a total of 20 levels, I would have liked to have made more but unfortunate I ran out of time in the end. In any case I had a lot of fun making it, and I learnt a few new things along the way. 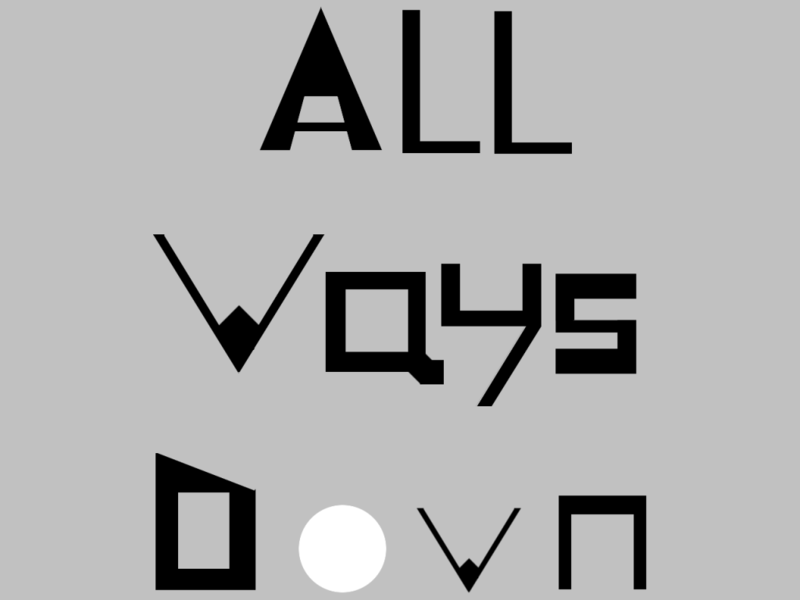 All Ways Down can be played either on its entry page(best played full screen) or over on itch.io(link on entry page). It’s also available to download, though I haven’t had a chance to really test those builds yet.